How Much Does A Trap Bar Weigh? 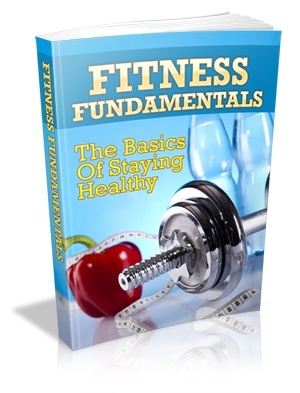 There is always no shortcut to getting that dream body you have always desired to have. You have to work hard for it. It will take weeks and weeks of rigorous training, weight lifting, squats, pushups, proper dieting and just about any exercise that will mass up those muscles in your body. For your weight training needs, a trap bar is the tool for the job. You might have spotted one in your gym, or you may have heard someone talk about one somewhere before. 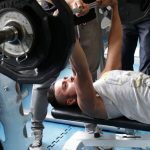 Exercises performed using it impregnate your body with great mental and physical strength, resulting in an impressive body that attracts lots of stares and acknowledging nods. If this is your favorite gym tool, then well and good. But if you have been giving it that curious look and wondering what it could be all about, then you are in luck. In this article, we will be talking everything about trap bars. Of particular interest is a common concern: How much does a trap bar weigh? In the end, you will be confident enough to give it a go. What Is A Trap Bar? This is a weightlifting tool invented and patented by Al Gerard, a competitive powerlifter. It gets its “cool” name from the trapezius muscles upper fibers. It is these muscles that it was originally invented to train, alongside shoulder shrugs. Bar stock: This is the diamond or hexagonal shape made from bars welded together. The shape is sized such that you can stand in its middle when weight lifting. Coaxial Stub-bars: These are the coaxial projections from the bar stock that are used to hold the weight plates in place. They are two in most of the trap bars. Handles: These are welded inside the hollow bar stock. The handles are used to lift the whole trap bar set up, with or without the weight plates. These handles must be at 900 with the weight plates. This is what the trap bar is basically meant for. It is the exercise most mass muscle builders prefer for adding muscle slabs on their upper and lower bodies. This is what leads to their impressionable physiques. It is an exercise that requires you to lift a trap bar loaded with weights off the ground, lift it to your hips, and then lower it back to the ground. All these are done with your back completely straight. You, therefore, develop a more stable core since your core muscles are included when doing the deadlifts. 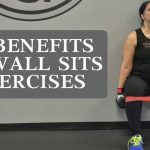 These include muscles in your hip, waist, backside as well as lower back. A well-balanced posture and balance are therefore maintained in you. Now that we have highlighted all the preliminaries about trap bars, it is now time for one of the concerns you always have. How much does it weigh? The weight of the trap bar in your gym depends mainly on its type. 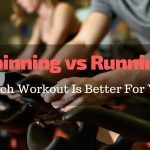 Of these, there are mainly three types in most gyms. The original Gerard trap bar, the standard trap bar and the extra-large (XL) trap bar. The first type generally weighs 45 pounds, just as an Olympic barbell. The standard type weighs about 30 pounds, which is slightly lighter than the Gerard trap bar. 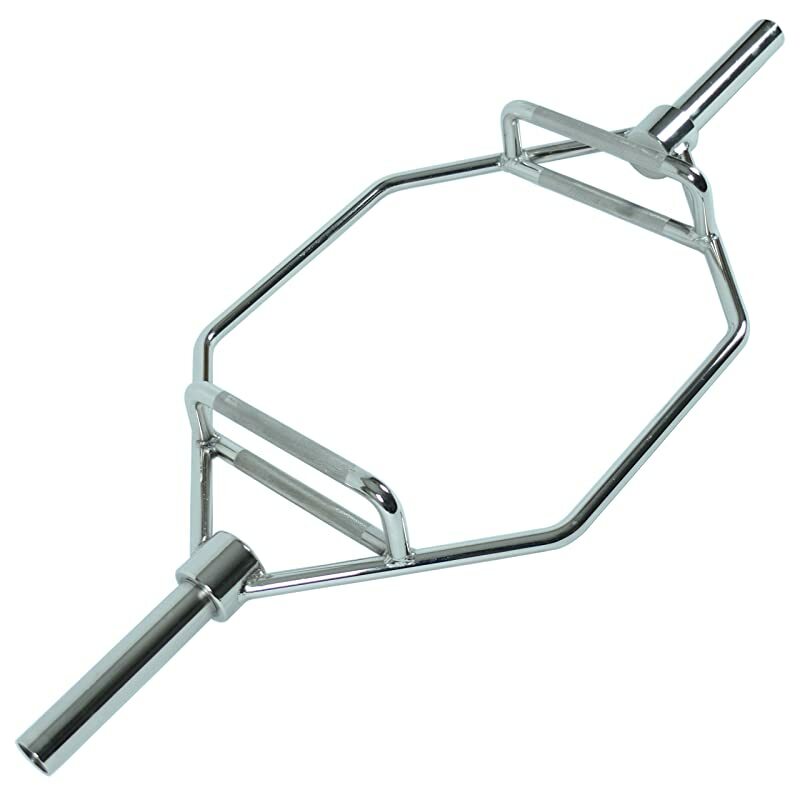 And lastly is the XL trap bar which comes in at 55 pounds. Most of the trap bars in your gyms will weigh 45 pounds as the classic type, but the weight can vary from tool to tool. If you are not very sure, you can go the old school way and measure its weight, provided you have a gym scale (we don’t think this can miss in your gym). Subtract W1 from W2. The difference gives the weight of your trap bar. 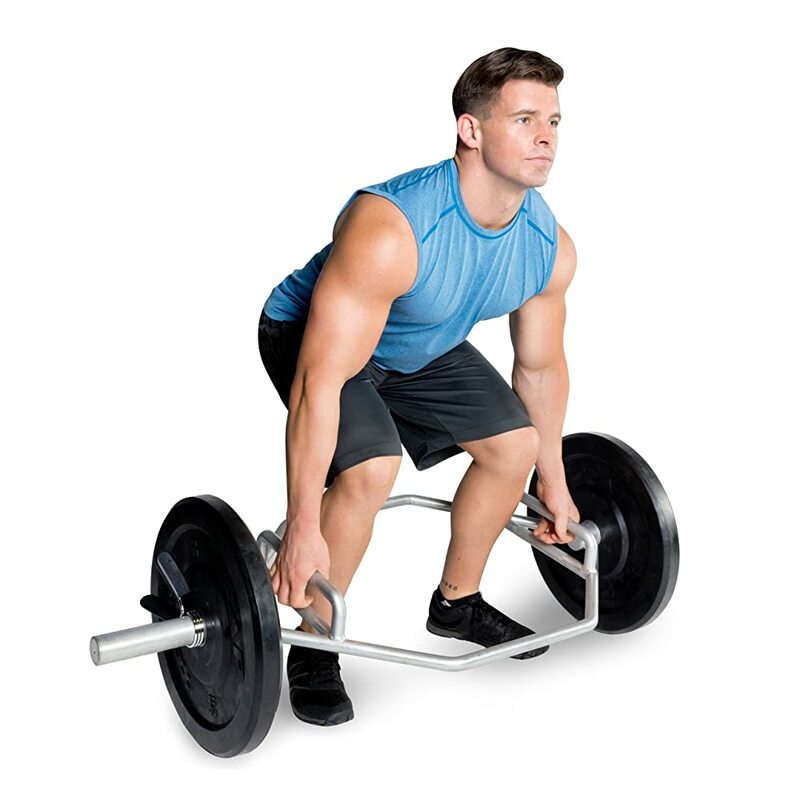 All your efforts will not be in vain as you stand to gain a lot by using the trap bar for deadlifting. Whether you are an experienced veteran or a beginner who wants to lift a ton of weight to stack up to the muscles, the trap bar deadlifting is definitely what you need. It is easier on your spine, and for beginners, it’s quite easy to learn how to use it. In addition, the bar itself has a decent weight, meaning that it will be able to withstand the weight plates you add to it. 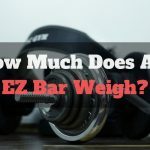 How Much Does An EZ Bar Weigh? 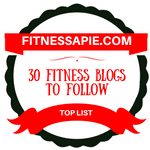 What Muscle Groups To Workout Together?